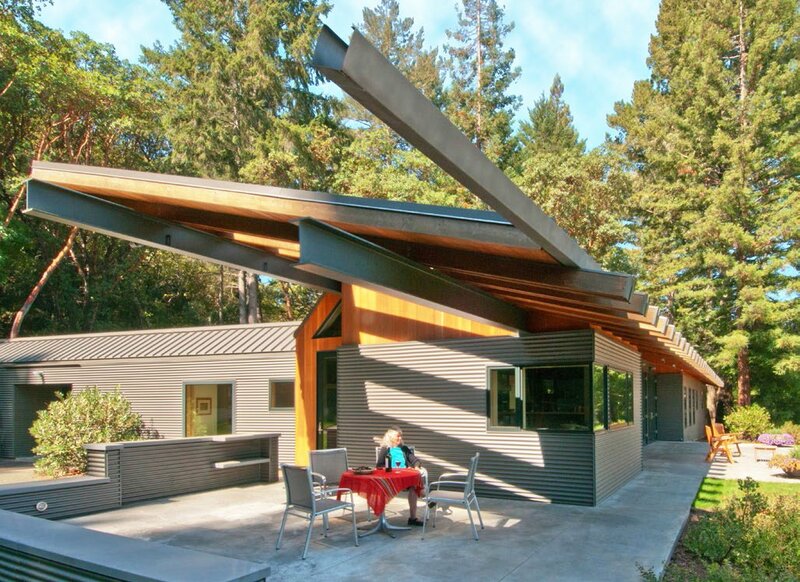 Obie Bowman (above), one of the leading architects rooted in Sea Ranch, is a modern designer to the core. He also pioneered sod roofs, an integral part of his Brunsell house (top and middle), which blends into the surrounding meadow. Bowman's metal-clad Johnson house of Healdsburg, with its cantilevered terrace roofs, exposed steel flanges, and unique concrete entry. "If I were 20 years younger, I'd get some buffalo," architect Obie Bowman says as he steers his Toyota van through the pasture that borders his home and his studio. "I just like the idea of buffalo. Such an iconic American animal." 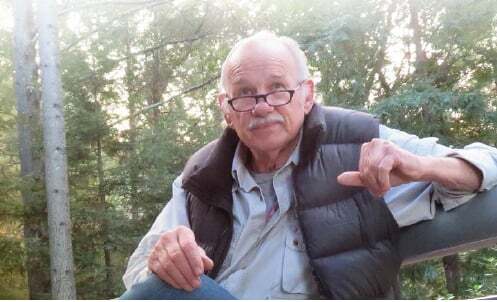 Bowman has become an icon himself since he founded an architectural firm in 1971. He's created a personal version of 'green architecture,' a term he disfavors, and become one of the leading Sea Ranch architects—though he moved away from that coastal community 25 years ago to avoid being so stereotyped. He's a modern designer to the core, focusing on how his buildings function, while providing dramatic exteriors, and interiors that are often multi-leveled and playful, filled with details that are Obie-only. Like industrial Stonco lights, with a cylindrical bulb encased in a metal cage. And tree trunks to hold up roofs? Sure. Metal stormwater culverts as Greek columns? Why not? Even a Sea Ranch cottage with a two-story Greek temple front. The community's guardians of tasteful design said "yes." "Some of those interiors he's done, the one with the boulders in the bathroom, what was he thinking?" says Steve Martino, an Arizona landscape architect and former classmate. "It's like a giant stage set for a play. It's so theatrical." When it comes to posts, fireplaces, doors, or other elements, Bowman thinks big. "How can it be too big or too cool?" he asks. "How can you be too rich?" Yet his houses are warm and homey. "There's something very spiritual about it," Elizabeth Lane says of the home Bowman created for her at Sea Ranch. It includes a 15-foot-long metal culvert installed in a lower room to provide a porthole-like view of the ocean from a room deep in the home's interior. The culvert snakes through a utility room that would otherwise block views. 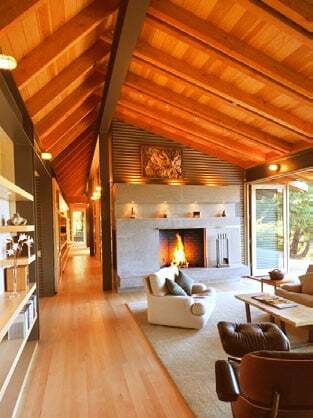 "What distinguishes him from other Sea Ranch houses are his playful forms, the relation to scale, and bringing natural light into the interiors of his volumes," says Peter Silva, who worked for Bowman as a young architect. "He often made reference to historical architecture, but rather than using classical columns, he would use logs." "His houses sit in the land well, so it doesn't create an ugly oddity," says David Arkin, a Berkeley architect who early on worked for Bowman. "They almost disappear. They're beautiful and sculptural." 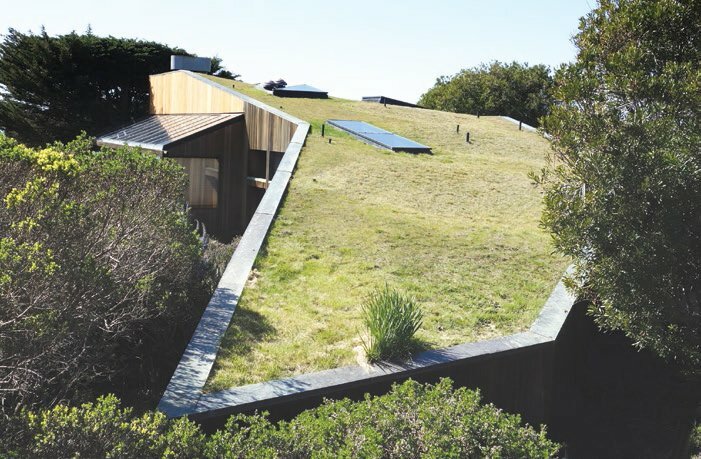 Bowman has pioneered sod roofs. His Brunsell and Sea Meadow houses at Sea Ranch blend into the surrounding meadow on their landward sides.